Kashee’s Beauty Parlour is one of the famous salon and parlour in Karachi Pakistan. It was founded by Kashif Aslam in 2007 and has gained lots of popularity in showbiz and across the border as well. Kashee’s Beauty Parlour is offering a wide range of hair cutting and hair styling, mehndi designs, and full bridal makeup in very affordable rate in this modern era. We have already posted a few articles on Kashee’s Beauty Parlour bridal makeup and services price and mehndi designs. But in this post, we are going to share some popular and latest hairstyle and hair cutting videos of Kashee’s Beauty Parlour. 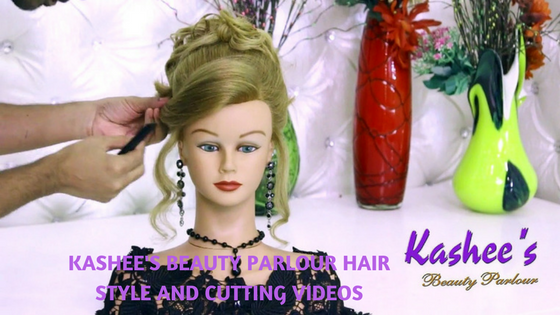 You may have been searching lots of haircutting and hairstyle videos of Kashee’s Beauty Parlour on YouTube and DailyMotion but found nothing or wasted a lot of time to find some good videos In this post we have compiled the list of top 10 Kashee’s Beauty Parlour Hair Style And Cutting Videos. Kashee’s Beauty Parlour haircutting and hairstyles are currently the most demanding hairstyle in Karachi. The saddest part is that they do not provide services at home or any other city of Pakistan. anyway. You can bookmark this page because we will keep updating this page with new Kashee’s Beauty Parlour hairstyle videos time to time. what a gorgious work u are doing in beautition world.